STARKVILLE, Miss. -- Each spring, wild turkeys -- the largest gamebirds in the state -- begin their annual mating rituals and behaviors. The season attracts thousands of hunters into Mississippi woods for hunting opportunities every year. 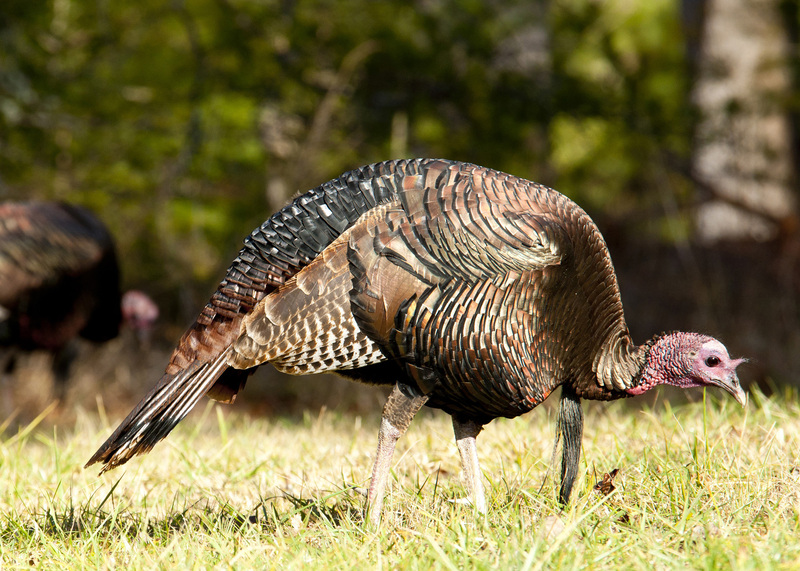 Unfortunately, our state’s turkey population has declined since 2004. One problem has been a reduction in nesting success that resulted in fewer young turkeys. Other factors include loss of suitable habitat, increased hunting pressure and conversion of mature oak/hickory forests to pine plantations. In some cases, feeding wildlife corn introduced birds to high levels of aflatoxins (toxic mildew). Hearing a gobbler on a crisp, bright Mississippi morning is one of the most exciting events anyone can experience. The flashing of colors as a mature gobbler struts to attract hens is a truly magical sight. The turkey’s senses of sight and hearing are phenomenal. To successfully catch sight of a gobbler, hunters need to remain absolutely still, wear camouflage clothing for concealment and be knowledgeable, efficient callers. Hunting turkeys can be dangerous due to total concealment by the hunter and the chance that other hunters may unwittingly be in close proximity. Hunters need to be vigilant, watching for of other hunters nearby and taking other steps to remain as safe as possible while in the woods. To increase safety, arrive at hunting spots before daybreak and walk into the woods before other hunters arrive. Don’t park near another vehicle. If you hear a gobbler, chances are that nearby hunters will hear and go to the same turkey, which can be problematic. Important techniques include concealment and infrequent calling to turkeys. As you call, be very watchful of movement all around you. Watch not only for turkeys but also for other hunters. When a gobbler is displaying to females, his head becomes red, white or pale blue, so avoid wearing any of these colors. Decoys can contribute to safety concerns. An approaching hunter can be drawn to a gobbler decoy, and an inexperienced hunter may shoot the decoy. If you are on the wrong side of the decoy when this happens, disaster can result. Avoid calling too much. On some occasions, turkeys will call often, but they mostly communicate intermittently with flock members in soft tones. My advice is to use infrequent, softer calling. From a safety perspective, this strategy is less likely to attract nearby hunters who may approach what they believe is a calling turkey. Keep still and avoid unnecessary movement as you set up to call for a turkey. If you see someone approaching you in the woods, speak to this person in clearly audible, normal tones to let the approaching hunter know that you are there. Don’t startle the approaching person by shouting or waving your arms. Inexperienced hunters might actually discharge their guns if startled. Again, you want other hunters to know clearly that you are there. Attempting to avoid other hunters will go a long way toward keeping you safe in the turkey woods this spring. Use common sense. Hearing and seeing a wild turkey in Mississippi’s great outdoors is a thrill and memorable for a lifetime.